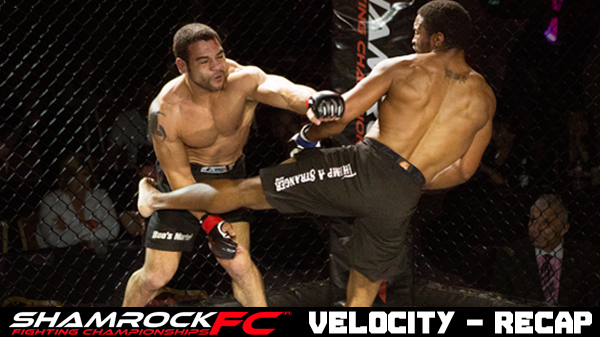 Shamrock Fighting Championships put on its sixth pro/am of 2015 on Saturday with Velocity at the Lumiere Casino. With the professional main card dedicated to the welterweight division (four of the five fights on the main card were at 170) Jordan Dowdy emerged as the front runner from last nights pack. Dowdy earned the only finish of the group with a dominating performance over Calvin Cunningham. Rome Lindsay and Raymond Gray stole some of the hometown thunder away with wins over locals Josh Weston and Jesse Geringer in the main and co-main events. Lindsay and Weston sporadically traded hard exchanges through three rounds in the evenings finale. Lindsay was able to overcome some big elbows from Weston to win via split decision. In a contest spent mostly on the ground, Gray slogged his way through three rounds and defeated Geringer by unanimous decision. Aaron Highfill earned his first pro win with a unanimous decision over Stacy Bacon. Highfill, who was the subject of a mmamania.com story published on Friday titled, "the next Tyron Woodley?" pushed through three rounds of clinch work and grappling to win via unanimous decision. Dowdy went right to work on Cunningham. After securing a takedown, the CMMA product transitioned to mount and began a barrage of punches that got the TKO. It was announced earlier in the week that AJ Siscoe was one of the local fighters named to the upcoming Bellator: Unfinished Business undercard. On Saturday, Siscoe was smooth and controlled and then the bottom dropped out. In a match-up of pro debuts Siscoe faced Scott Ettling out of Hillsboro, IL and for the first four minutes of the fight was having his way. Siscoe scored an early takedown and Ettling kept busy on bottom, throwing plenty of elbows. Siscoe eventually passed guard and ended up in side control where he transitioned to mount. Siscoe did a nice job of controlling the place and was stuck to Ettling's back. Late in the round Siscoe went for a kimura that didn't take and Ettling squirted through. Ettling spotted his chance and went broke. He rattled Siscoe and made his way to his back where he landed more power shots before sinking in the rear naked choke. The all amateur undercarded provided a bulk of the excitement. Curt Eller's ground and pound in the second round led to a TKO win over Eric Willams. Issac Purnell continues to impress. Fan favorite Dan Moriarty earned a submission win over Jake Trigleth with a third round arm triangle. Edrick Dillard earned a unanimous decision over Mike Gillard. David Evans had another quick finish in the SFC cage. With every outing, Evans is making a name for himself in the bantamweight/featherweight division. He submitted Kyle Phillips with an arm triangle in the first round. Cort Romeous and Alejandro Socorro led off the night with the best fight of the undercard. A back-and-forth affair for three rounds, Socorro's multiple submission attempts were not enough in the judges' eyes as Romeous won a unanimous decision. 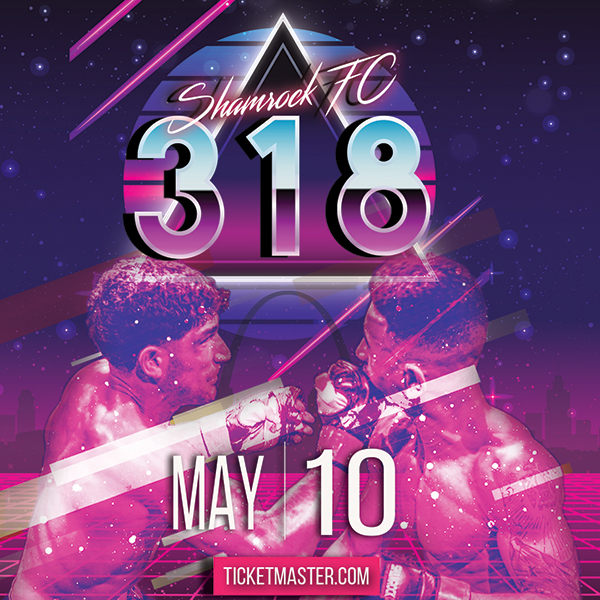 Shamrock FC returns to the Lumiere on May 3 with XFN and will close the month in Kansas City, on May 29th at the Ameristar. Photo Courtesy of Jimmy Range Photography.